Welcome to Bella Italia Bistro & Pizzeria! In an Italian household life is about three things- family, friends and food! Come in to Bella Italia and let our family serve you and your loved ones our traditional, authentic Italian recipes in our warm, family friendly atmosphere. At Bella Italia we are committed to satisfying our customers with the best Italian food on Hilton Head Island and excellent customer service. 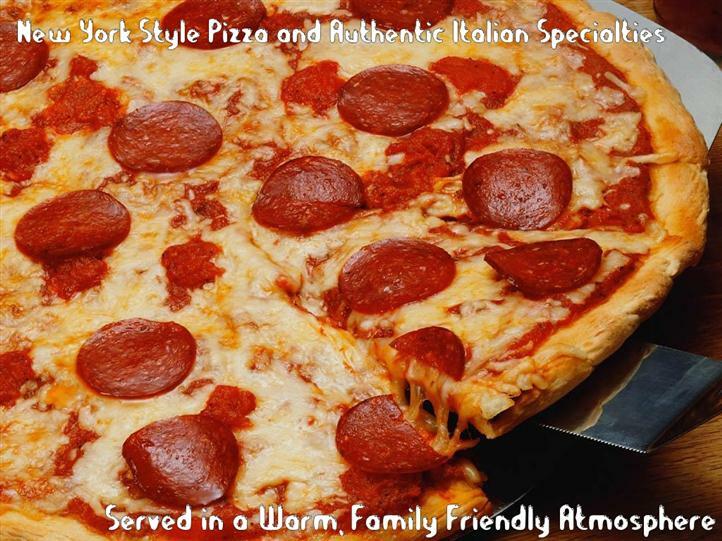 We offer a wide variety of pizza, sandwiches and delicious, authentic Italian dishes for Lunch, and Dinner. Don't forget to sign up for our Mailing List for exclusive "Members Only" offers, discounts and promotions. Click here to purchase a Bella Italia Gift Card! On the go? Check out bellaitaliahhi.com from your smart phone for exclusive mobile offers, discounts and promotions!